Sweetcorn is a sweet vegetable that can be eaten throughout the day as a snack or as part of a main meal and Lose Baby Weight plans, and it can even be baked into cakes or biscuits for a savoury twist on your favourite sweet treats. Some people shun sweetcorn as it is known for being a bit of a starchy vegetable that contains carbs, but it is packed with antioxidants, vitamins and minerals as well as plenty of flavour and it is only the processed types of carbs that should be avoided. The main health giving property of sweetcorn is ferulic acid, which is an antioxidant found in the cell walls and insoluble parts of sweetcorn. Sweetcorn contains more ferulic acid than any other fruit or vegetable, and with recent research showing that ferulic acid can ward off disease, cancer, diabetes, heart disease and neurodegenerative diseases such as Alzheimer’s disease, sweetcorn is fast becoming a bit of a wonder food. Research has also shown that if you cook your corn, the longer you cook it, the more ferulic acid there is in the corn and therefore the higher the antioxidant content. Sweetcorn also contains vitamin A and C, which are antioxidants that help to protect cells against the effects of potentially damaging free radicals. 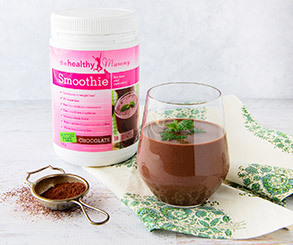 Free radicals could play a role in the development of cancer, cardiovascular disease and age-related diseases, and so eating foods that contain vitamins A and C is an excellent way to protect yourself against illness. Sweetcorn is also packed with B vitamins which are known to be very useful in promoting growth and development. B vitamins also help to control how your food is metabolised and the various chemical reactions within your body. Thiamin and folate are also nutrients found in sweetcorn, which are essential for pregnant women – and for everyone! Sweetcorn also provides lots and lots of minerals, including manganese, phosphorus, potassium, iron, calcium, sodium, zinc, copper and selenium – shall we go on! Some people worry about sweetcorn because it is sweet – and therefore because it contains some natural sugars. However, these sugars are all natural and because they come with plenty of vitamins and minerals, you can feel safe in the knowledge that a portion of sweetcorn is much better for you than a chocolate bar! Whilst corn syrup and corn flour are processed, fresh corn is completely natural and unprocessed, making it a great choice for all the family. 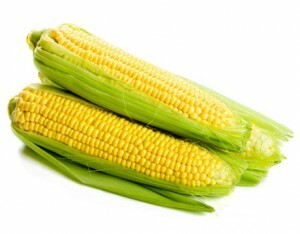 Another benefit of sweetcorn is that it is actually fairly low in calories – 132 calories for a 1 cup serving. This low calorie count means that you can easily add sweetcorn to various meals without going off your diet. Sweetcorn is also full of protein and fibre, which will keep you full, meaning that a side of sweetcorn instead of a side of mashed potatoes or rice will fill you up just as much, for much less calories and fat. Sweetcorn is usually cooked with butter as this adds to the sweetness of it and helps to make it a little more flavourful, but there are some other ways to cook sweetcorn or corn on the cob without adding fat. Try grilling your corn on the cob – simply spray with cooking spray and season with black pepper and a little bit of salt, wrap in foil and grill on a hot BBQ until slightly charred. You can also toss sweetcorn or fresh corn from the cob with lime juice, a little freshly chopped chilli and a good pinch of salt for a sweet, sour, hot and salty flavour combination perfect for serving with grilled meats or fish. You could also simply mix sweetcorn with some diced tomato, red onion, a little oil and lemon juice and some fresh herbs for a speedy salsa.